British trio London Grammar has announced the release of a new album track, “Oh Woman Oh Man,” which is available today across all platforms including a special Vinyl LP package. The song is featured on the band’s sophomore album Truth Is A Beautiful Thing, which will be released June 9 and is available for pre-order today HERE. Fans who pre-order the album will receive an instant download of “Oh Woman Oh Man,” along with previously released tracks “Rooting For You” and “Big Picture.” Standard and deluxe versions of the album will be available digitally. See full track lists below. “Oh Woman Oh Man” was produced by Oscar-winning songsmith Paul Epworth (Adele, Florence & The Machine, Bloc Party). It’s the fourth track to be released from the album and follows last month’s reveal of the title track (watch the lyric video HERE) as well as “Rooting For You” and lead single “Big Picture.” As with their debut album If You Wait, this album was written by Hannah, Dot and Dan who poured their experiences from 30 months on the road into the new material. 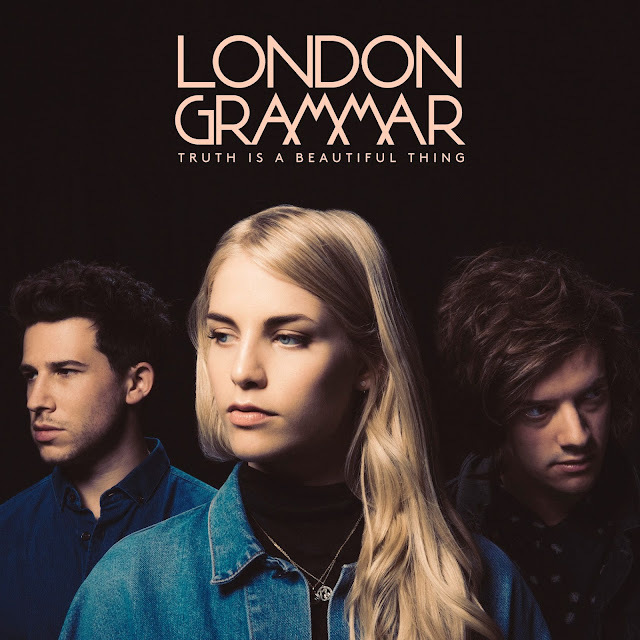 In addition to Epworth, Truth Is A Beautiful Thing features production from Mercury nominated Jon Hopkins (Coldplay, Brian Eno, King Creosote) and Greg Kurstin (Adele, Sia, Beck) as well as Tim Bran (La Roux, The Verve) and Roy Kerr (Birdy, James) who also worked on the band’s debut, If You Wait. Following two sold out shows earlier this year in Los Angeles and New York, London Grammar return to North America this summer, appearing at both the Osheaga Festival in Montreal and at Lollapalooza Festival in Chicago. For a list of all forthcoming live dates, please visit www.londongrammar.com. Winning a prestigious Ivor Novello Award for “Strong,” two AIM Independent Music awards (Independent Breakthrough of The Year; PPL Award For Most Played New Independent Act) and receiving a Brit Award nomination (British Breakthrough Act), London Grammar’s debut album, If You Wait has sold almost two million copies internationally. 4. "Oh Woman Oh Man"
10. "Leave the War with Me"
11. "Truth Is a Beautiful Thing"